Equate is a simple calculator application written in C using the Enlightenment foundation libraries. 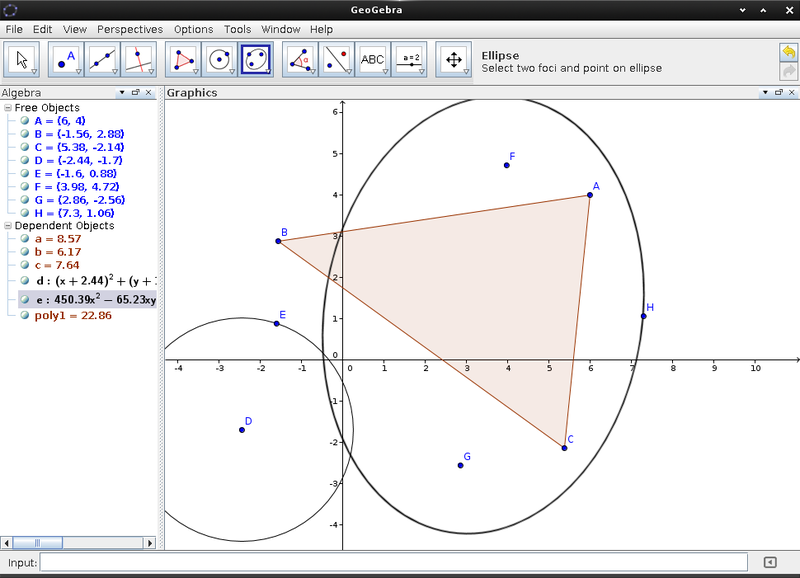 GeoGebra is an interactive geometry, algebra, statistics and calculus application, intended for learning and teaching mathematics and science from primary school to university level. Qalculate! is a multi-purpose desktop calculator for GNU/Linux. It is small and simple to use but with much power and versatility underneath. Features include customizable functions, units, arbitrary precision, plotting, and a user-friendly interface. Step is an open source two-dimensional physics simulation engine. The software include the StepCore, a physical simulation library.